Dr. Kingini Bhadran is a Specialist Endocrinologist at Aster Clinic, Al Qusais (Damascus St.). 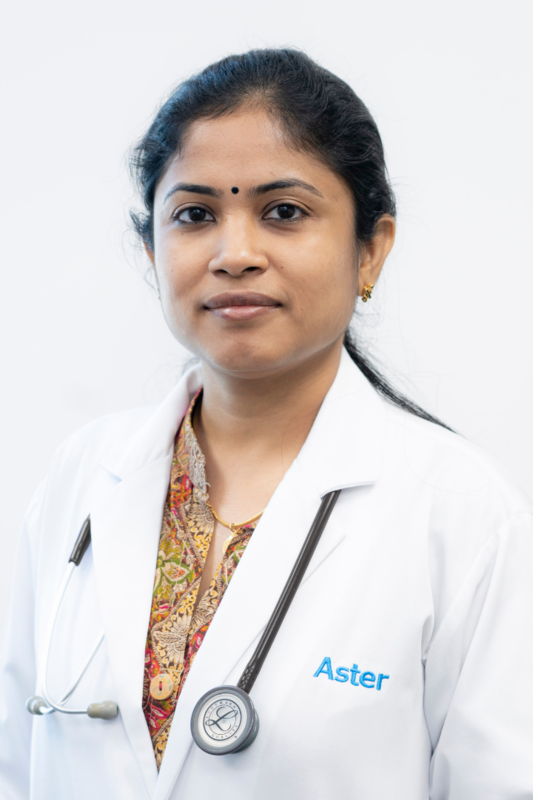 She earned her MBBS and MD from the Kerala University of Health Sciences following which she worked as Senior Resident and Assistant Professor for almost 5 years in leading institutions in India. She completed her DM in Endocrinology from Amrita Institute of Medical Sciences, Kerala. Her areas of expertise include – Diabetes, Thyroid disorders, Obstetric and General Endocrinology. She is also trained in paediatric, adolescent and transitional Endocrinology. She also has hands on experience in Thyroid ultrasound, FNAC and dynamic testing in Endocrinology.